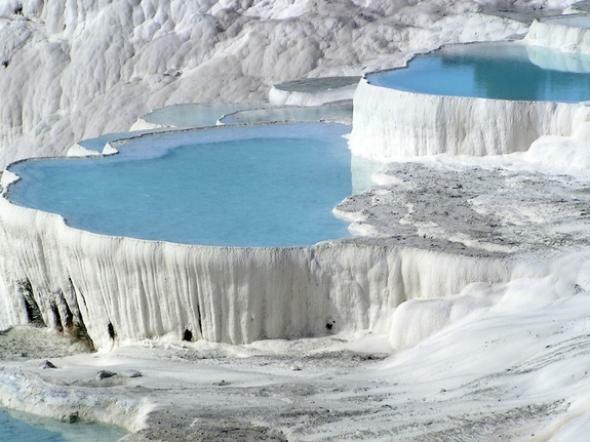 Visit Pamukkale which is the center of natural thermal spring waters with healing properties. 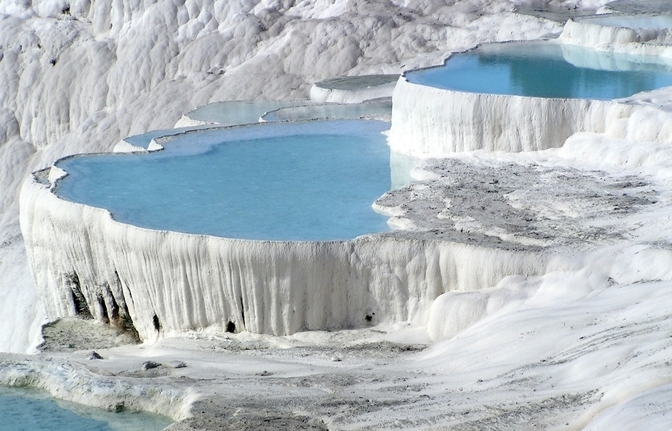 Due to the chemical properties in the water, pure white colored travertines and stepped water terraces have been created on the mountain slope. 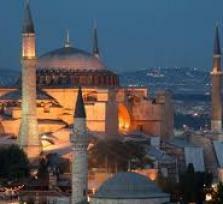 It is for its resemblence to cotton piles that it is called 'Cotton Castle' in Turkish. Visit the travertines and the ancient city of Hierapolis which has the biggest Nekropol with 1200 gravestones in Anatolia. The sacred pool also is one of the highlights of the site. 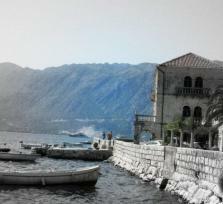 There shallow thermal waters ripple over a wonderful scattering of ancient roman ruins that lie beneath.